I’m back today with another Super Duper Inc. app round up! Many of my early elementary aged students struggle with grammar skills. These are some apps that work to build those skills. Irregular Verbs One of my most commonly used apps! I love being able to pull it out every week. The app contains many verbs but lets the user select which targets will be practices. This provides the SLP a great system to track which verbs have been successfully learned. Regular Verbs If you’re working with younger students, this app might be right for you. I have used this app with some Kindergarten friends. They are working on adding morphological markers as well as developing sentences. I am able to target several different goals with this one app! Plurals Regular plurals are another basic grammatical skill I frequently target in therapy. This app has been so helpful with my preschool crowd! They love anything on the ipad and this app helps me target plurals in a drill format, but spiced up with the ipad! Has & Have While most children pick up normal language skills by hearing the adults around them, our language impaired students have difficulty identify correct form just by hearing them. The HAVE/HAS app, lets you teach your clients grammatical rules and then review them with this app! Was & Were Similar to the HAVE/HAS app, this WAS/WERE app is a wonderful addition to your grammar app list! For students on my caseload, eliciting these sentences with other apps is difficult! Playing it in app form has infused some fun into our drill work! 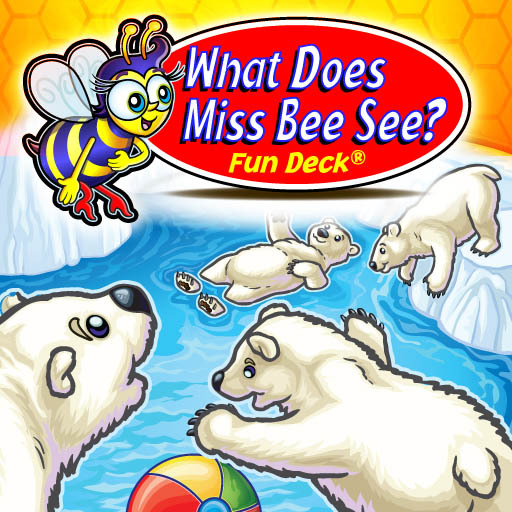 What Does Miss Bee See This is Super Duper Inc.’s newest app! It’s another great app for targeting a variety of goals. 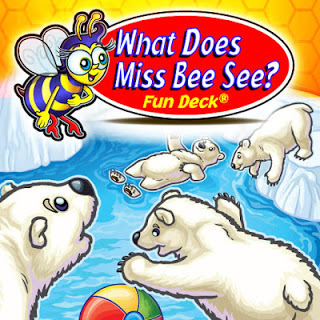 Each card in the deck, is a scene that asks What does Miss Bee See? I have been using this one to work on WH questions. I can ask WHO is in the picture, WHERE are they, WHY are they doing that, etc! Great for groups of kids where you are targeting different goals for each student! Do you have any favorite Fun Decks you would like to see changed into apps next?